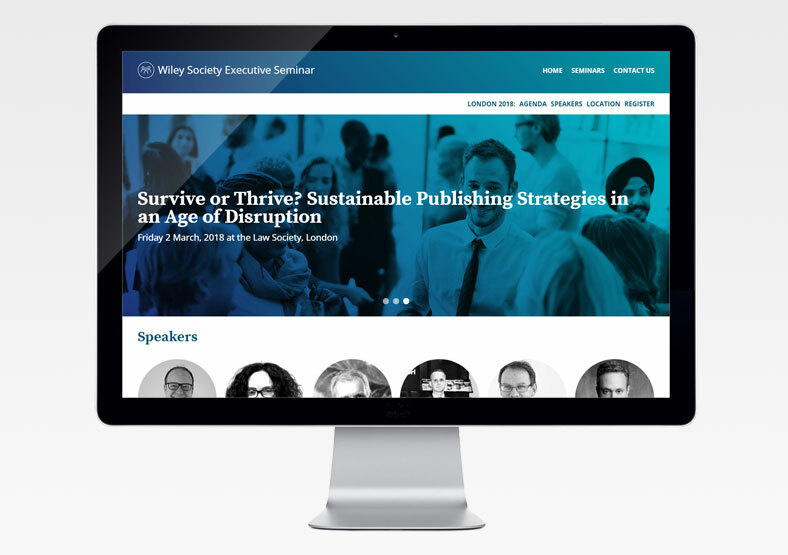 Wiley Publishing runs regular seminars around the world for its partner societies. The seminars allow society leaders to network and discuss important issues for their publishing and membership programmes. 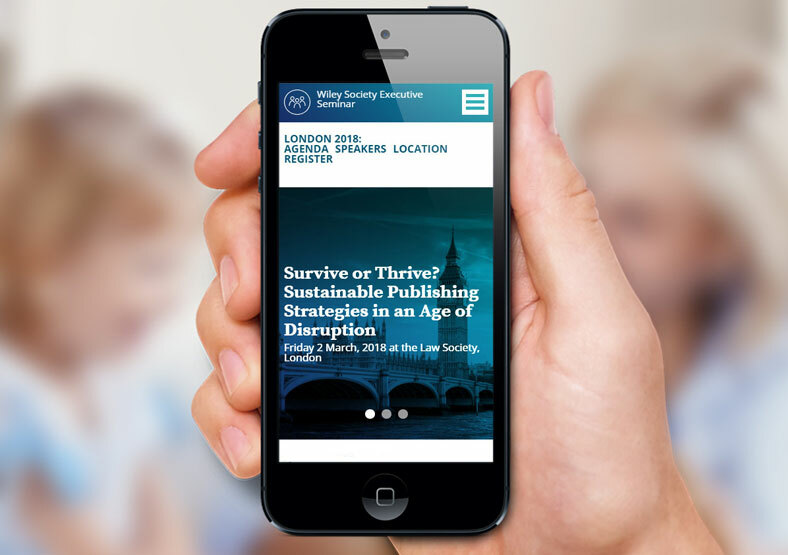 Wiley needed a website to use as a marketing tool to promote forthcoming seminars, display details of location, agenda and speakers, and a contact form to allow event organisers to easily collate and respond to queries. We designed and built a WordPress website for Wiley, in line with their corporate branding. Wiley staff are able to access the website and make ongoing changes themselves. The website is responsive, as a high percentage of website viewers will be viewing the website on mobile devices. The site was built according to good SEO practises, and includes an easy to use facility for Wiley staff to enter keywords and meta data as more content is added, thus improving Google rankings. 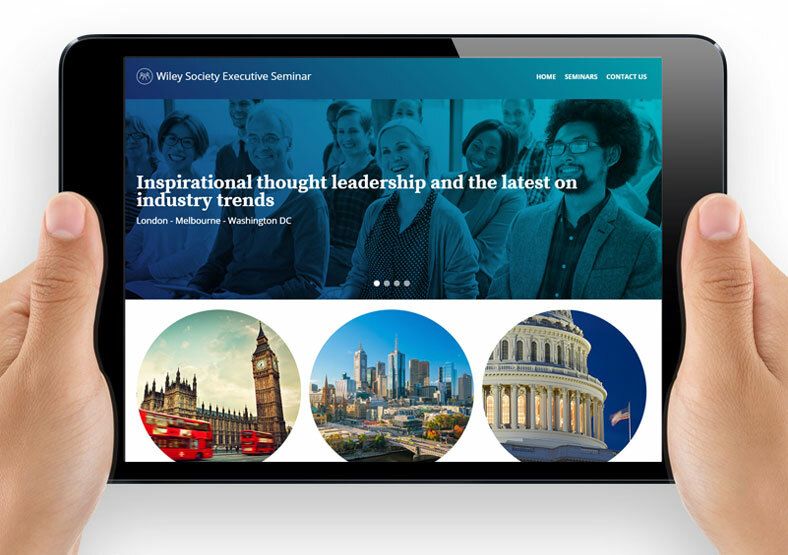 The Wiley Society Executive Seminar website is being used effectively to promote the seminars to Wiley's global society audience.